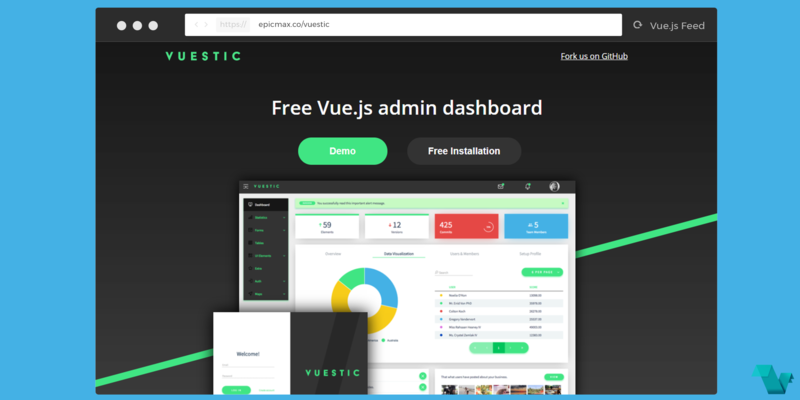 Vuestic Admin Dashboard is built with Vue and is free for everyone. With responsive and optimized design for mobile and a wide range of useful components, completely free of jQuery. Check out the Live Demo! To make it yours head to the GitHub repository under an MIT license. If you would like to support the developers find out how here. Designed by Vasili Savitski, developed by Epicmax.